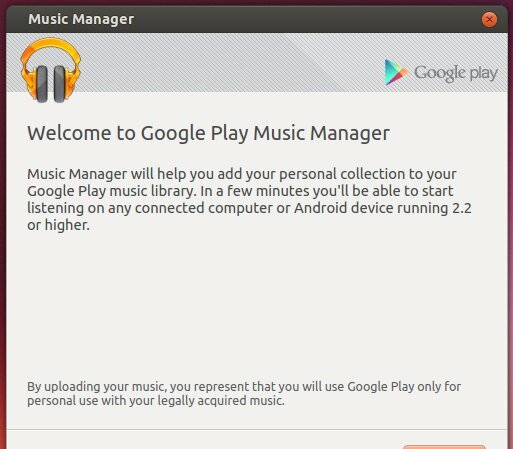 This tutorial shows you how to install Google Music Manager, a simple application for adding the music files on your computer to your Google Play Music library. Upload up to 20,000 songs from your iTunes library, Windows Media Player library, My Music folder, or folders of your choice to Google Play. Only upload what you want – choose individual songs or upload songs automatically. Adjust the bandwidth available for uploading songs. Download any songs that you previously uploaded to your music library, as well as songs you purchased from Google Play. This does not seem to work on Ubuntu Gnome. It just quits. Disappointing. I cant seem to add my music folder on my NAS box as my music folder.. Worked perfectly for me, thanks! If it fails to open after the first sync/download, you have to clear the contents of the folder you told it to sync/download to. There is a bug where if that folder has anything it won’t open the options or do anything. Really helpful. This worked perfectly, thanks a million! Seems to be good for me too! thanks a bunch brother! Still works for 14.04. Thank you!